Hello everyone! 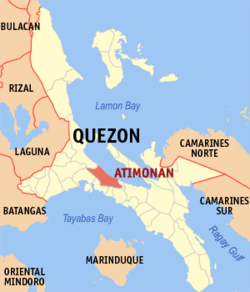 Well the rumors are true that I have been transferred to a new city called Atimonan in the Quezon Province! It’s pretty far out in the sticks, but it is a small, quaint beach-side town and I love it. It’s way cool. Elder Burbidge near the sea in Atimonan. Map of Quezon Province showing location of Atimonan. I’m reopening the city, which means that the two previous elders who were here have been transferred out, and my companion and I have been “shotgunned” in without any overlap. 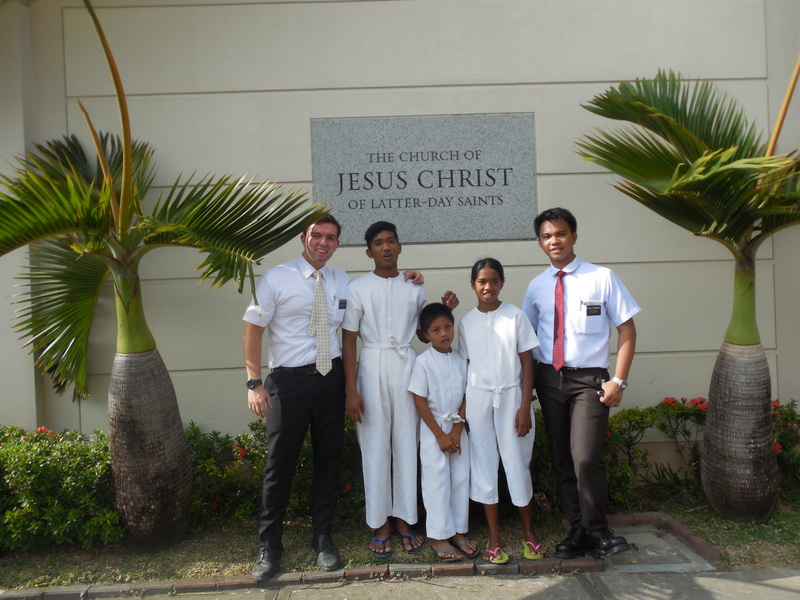 I am also training my new companion who is just fresh out of the Manila MTC, so I am looking forward to that as well. We are going to spend our first few weeks learning the area, establishing contacts with previous investigators, and getting to know the local members of the church here. So far, the members we have met are super awesome – I can’t wait to meet more of them! Our preparation day (or “P-Day” as we call it) was spent mostly with deep cleaning our apartment and getting settled in after the transfer. My companion’s name is Elder Tumanguil and he is from an area called Tuguegarao City that is north of Manila on the Cayagan River. 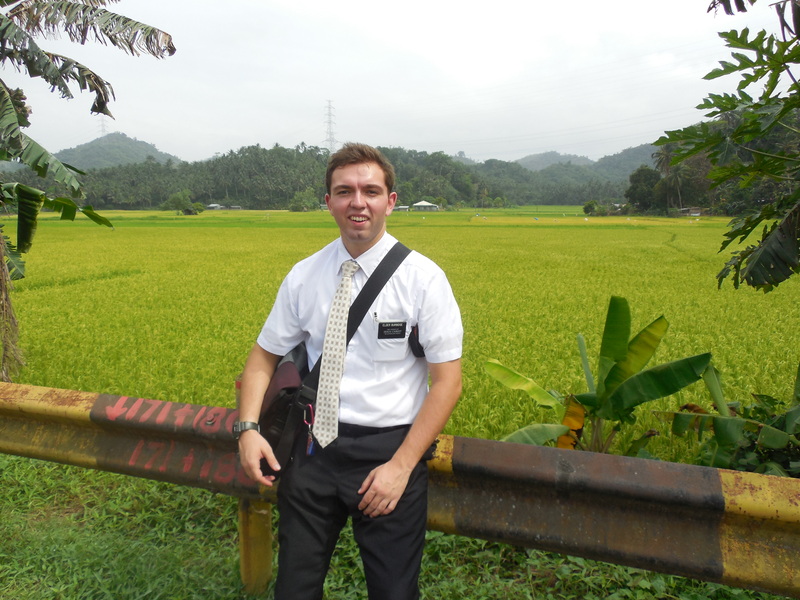 I really like Elder Tumanguil and am learning more about his culture and how he was raised here in the Philippines. There is a little bit of a language barrier because he doesn’t understand my English very well and I don’t understand his Tagalog quite yet! I am confident that we will make it work though! 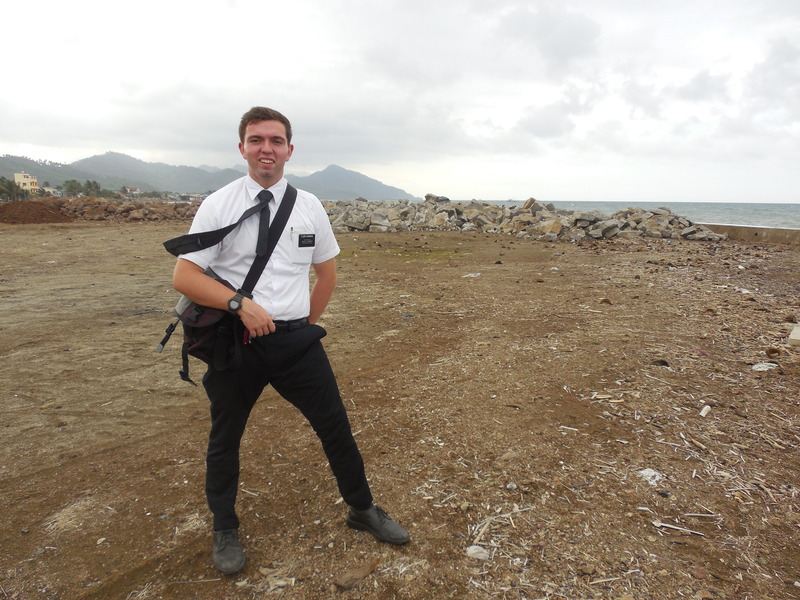 Lately I have been striving to overcome some adversity on my mission, such as missing home and not being up to the task of missionary life. But don’t worry about me because I’ll get over it! Whenever I have feelings of loneliness or discouragement I just think about Heavenly Father, Jesus Christ and my family and it gets better. A recent baptism at Atimonan chapel attended by Elders Burbidge and Tumanguil. Elder Burbidge out serving in “The Field”! Well that’s about it for this post! Thanks to all of the support back home. I really appreciate the letters and emails. My email and mailing address remains the same even though I have moved to a new area (the mission office gets the mail and delivers it to us regularly).